aims at the study, the protection and the promotion, in Italy and in Europe, of the documental patrimony of the abbey S. Maria della Grotta near Vitulano (Benevent). The dedicated work and research group is located at the “Dipartimento di Studi Umanistici” of the University of Naples Federico II (in short “UNINA”) and is composed of PhD students, PhDs and researchers coming also from other universities. It all began with the researches directed at the publication of the volume Le pergamene di S. Maria della Grotta di Vitulano (BN) – Secc. XI-XII, Salerno 2013, edited by Antonella Ambrosio. During these investigations the editor realized that the number of surviving charters of the abbey was much higher than expected and exceeded those preserved in the homonymous fonds of the Biblioteca della Società Napoletana di Storia Patria (Naples). A census of the charters was launched, a sort of “excavation” in the other parchment series of the Biblioteca as well as in those of diverse conservation sites in Campania. At the same time historical, archival and palaeographical studies were conducted, designed to assign all the surviving charters to the former monastic archive and to guarantee their accessibleness for scholars. 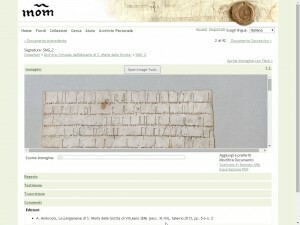 Since April 2014 a digital archive of the charters is available on Monasterium.Net, an international platform with the participation of 14 European institutions. This digital archive constitutes also the virtual archive of the abbey S. Maria della Grotta, and is supported by the ENArC-project (“European Network on Archival Cooperation” – EU, Culture Programme, 2007-2013). 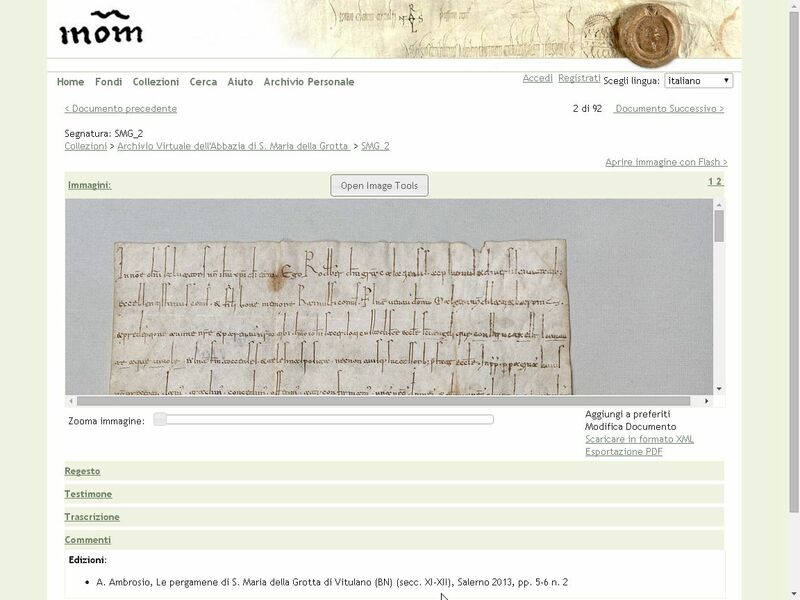 The archive now consists of digital, downloadable reproductions of the 12th century documents which will be integrated by related data in the near future, for example historical, archival and diplomatistic elements as well as regesta and scholarly editions. Moreover, as the census advances, the newly recognized documents will be inserted as digital reproductions in the archive, along with the pertaining data, in order to create a virtual reconstruction of the once existing fonds of charters in the abbey’s archive. The availability of the charters on an international platform ensures their integration in an international research context of European studies. 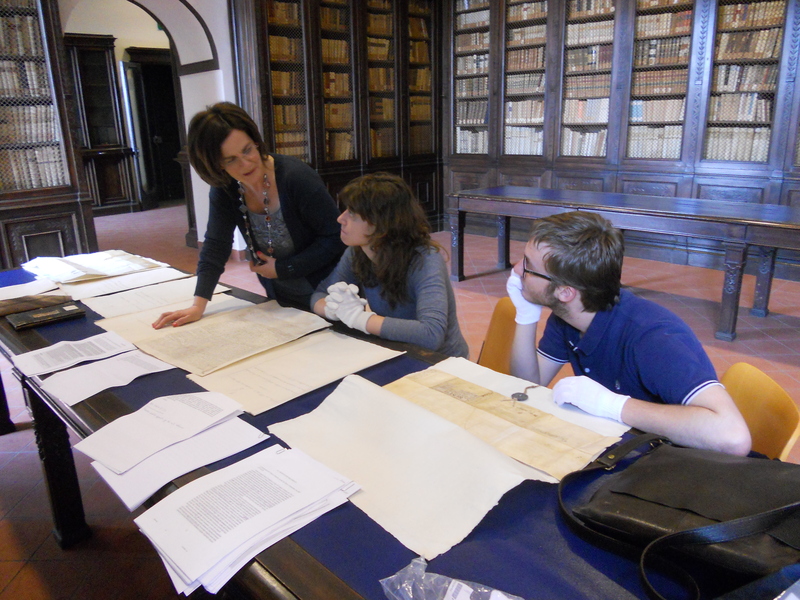 The 2014’s course in Palaeography and Diplomatics (prof. Antonella Ambrosio), organized within the master course “Scienze storiche” and the ENArC-project, concentrated on digital technologies and on the documentation of S. Maria della Grotta. 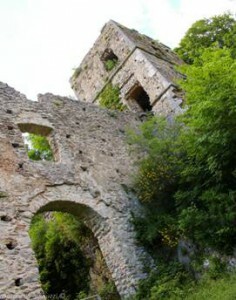 Based on the pedagogical principles of constructivism and contextualism, the course included a visit to the place of medieval charter production, the original site of the abbey near Vitulano, with the collaboration of the “Pro Loco Camposauro”, and another visit to the conservation site of the charters, the Library of the Società Napoletana di Storia Patria. Last but not least the students contributed to the enrichment of the virtual archive by elaborating data regarding the 12th century charters. The elaboration of the second part of the scholarly edition – printed and digital – will begin in September 2014. The 13th century documents will be edited by a group of academics specialized in South Italian documentation and in digital editions. From a synergy between the work group at UNINA and the municipality of Vitulano, in particular with the mayor Raffaele Scarinzi, originated the adhesion of the municipality to ICARus (International Centre for Archival Research). ICARus is an international research centre located in Vienna (http://icar-us.eu/) which aims at the promotion of the study and the accessibility of the European archival documentation. The adhesion as a Full member vouches for the engagement of the municipality in a coordinated action for the recovery of the documental patrimony the abbey as well as that of the Vitulan valley and for its valorisation at international level. One of the first results of this collaboration will be the one-day conference to take place in Vitulano on 13th September 2014, organized by the municipality of Vitulano, the University of Naples Federico II and ICARus with the aim to stimulate the contemplation on the historical, artistic and documental patrimony of the abbey S. Maria della Grotta and on its potentialities for the regional development.